Members of Team Zenyatta attend the Walk of Champions Gala. Photo by Ann Moss. 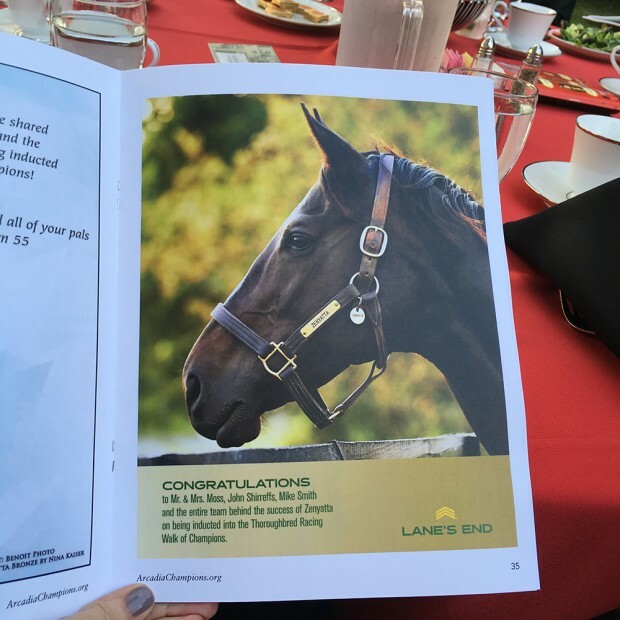 Zenyatta was inducted into the Arcadia Historical Society Thoroughbred Racing Walk of Champions on May 24. 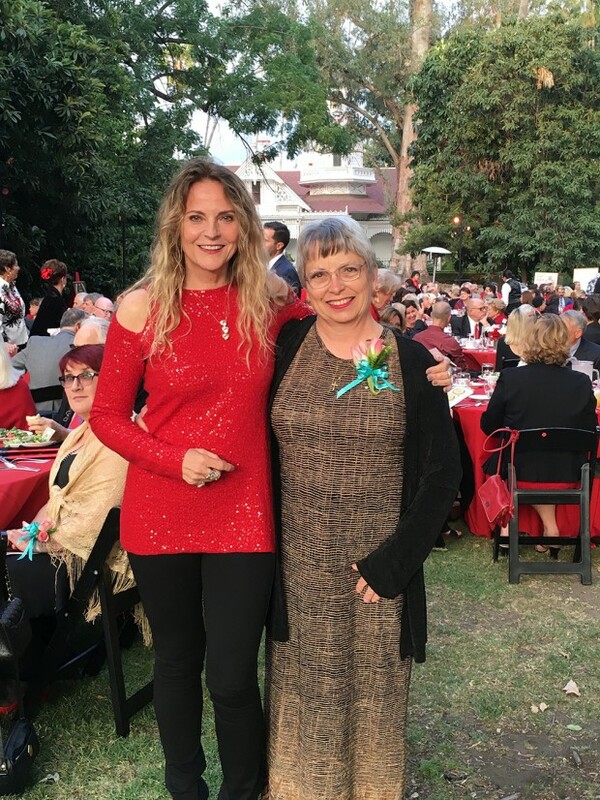 She was honored, along with eight other horse and human inductees, at a gala celebration at the Los Angeles County Arboretum & Botanic Garden. 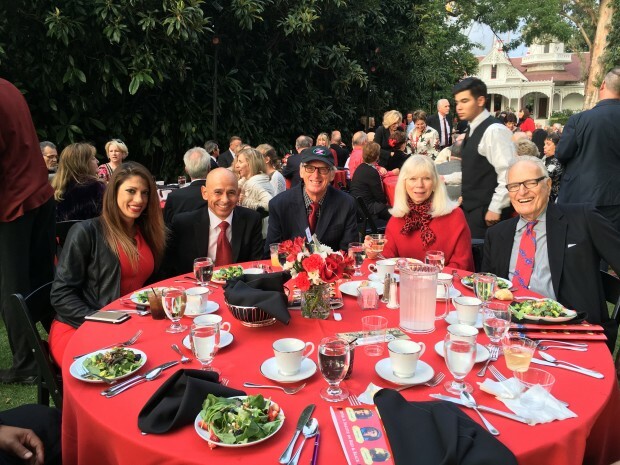 Members of Team Zenyatta including Jerry and Ann Moss, John Shirreffs, Dottie Ingordo-Shirreffs and Mike Smith attended the event. Zenyatta’s bronze plaque was previewed, and guests were treated to a video compilation of Zenyatta’s victories. Zenyatta’s plaque will be installed in downtown Arcadia, CA. See it here along with our photos from the gala. 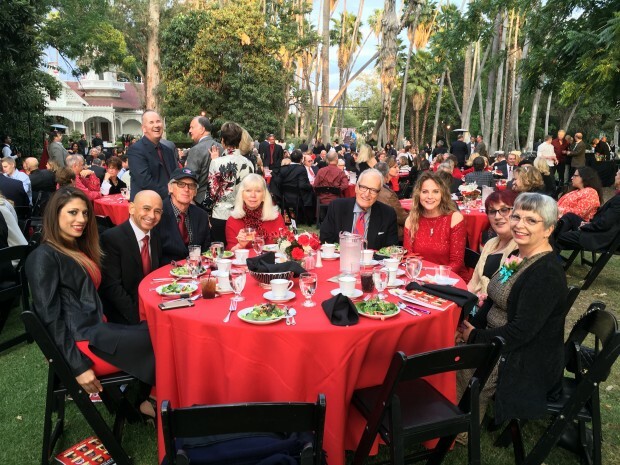 We’d like to thank the Arcadia Historical Society for this honor. Zenyatta’s bronze plaque will be installed in downtown Arcadia, CA. Photo by Ann Moss. Jerry and Ann Moss with Zenyatta’s plaque. Photo by Dottie Ingordo-Shirreffs. Team Z attends the gala. Photo by Julio Ochoa. Ann Moss with Catherine Simmons, the winner of our gala invitation giveaway. Photo by Julio Ochoa.